Pro Wrestling Sheet is currently reporting that former WWE Champion Dave Bautista (aka Batista) is currently in talks with WWE about a proposed match at WrestleMania 35. However, it is also stated that All Elite Wrestling has been in talks with the Guardians of The Galaxy star, and that Dave is open to listening to offers from both companies. 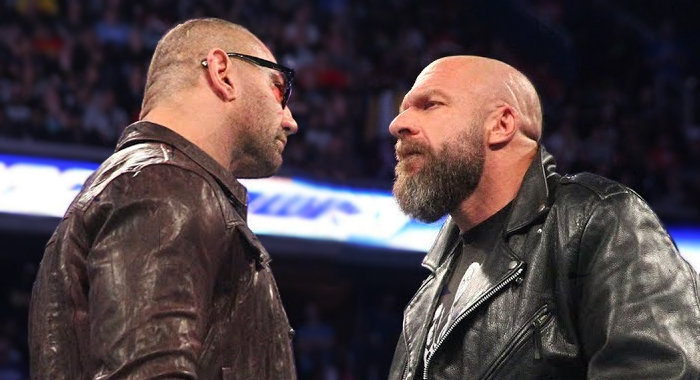 There was speculation that Triple H and Batista were headed for a WrestleMania match this April, but The Game suffered a debilitating injury at WWE Crown Jewel last November, putting the match in question.